On what would have been Big Pun&apos;s 43rd birthday, a previously unreleased track featuring Pun, Shaq, Fat Joe and Easy Mo Bee hit the web much to the delight of hip-hop fans across the board. 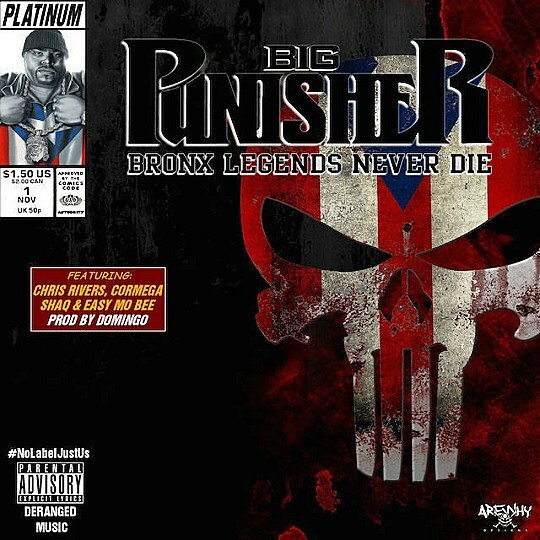 Fortunately for Big Pun fans, the leak wasn&apos;t just a loosie and an official Pun project is scheduled for a Dec. 23 release via Deranged Music. Titled Bronx Legends Never Die, the EP will be the first official project from Pun since 2000&apos;s posthumously-released Yeeeah Baby. A limited supply of pre-order copies are available via the crowdfund site IndieGoGo. While there is no official tracklist available at this time, the EP will feature Shaq, Cormega, Easy Mo Bee, and Pun&apos;s son, Chris Rivers, according to the cover art.